Your piece is beautiful! I love the colors and design. A lovely reminder to keep with you. I love the symbolism of having it on the rear view mirror to forget the past and move forward. You are so right! 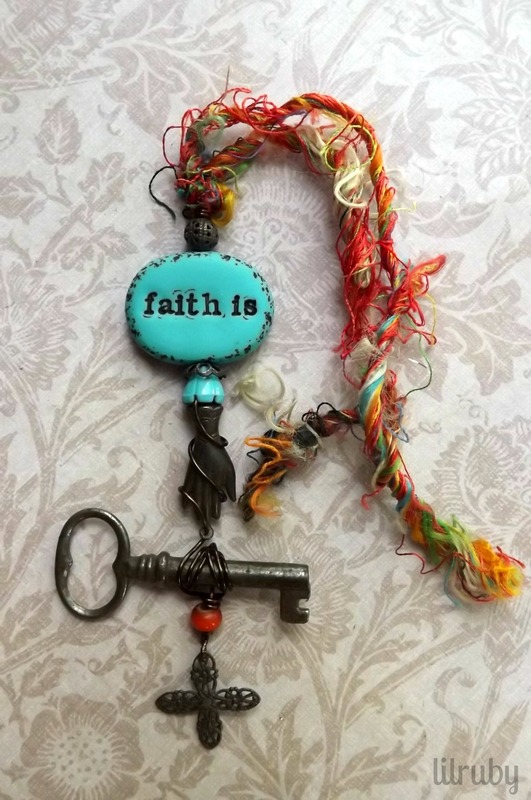 And your piece illustrates perfectly that faith is the key to handling all trials and challenges. If you can reach down inside and have your faith sustain you, you can mangae anything. Wonderful colors and textures in your design. 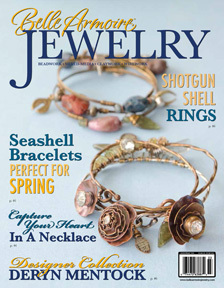 Love the colors and the different components of your design. I also like the idea of hanging from the rear view mirror as a reminder. I couldn’t agree more, sometimes when things are darkest we just have to remember to have faith. Good for you for not looking at the past and for moving forward. I love what you did with you bean. 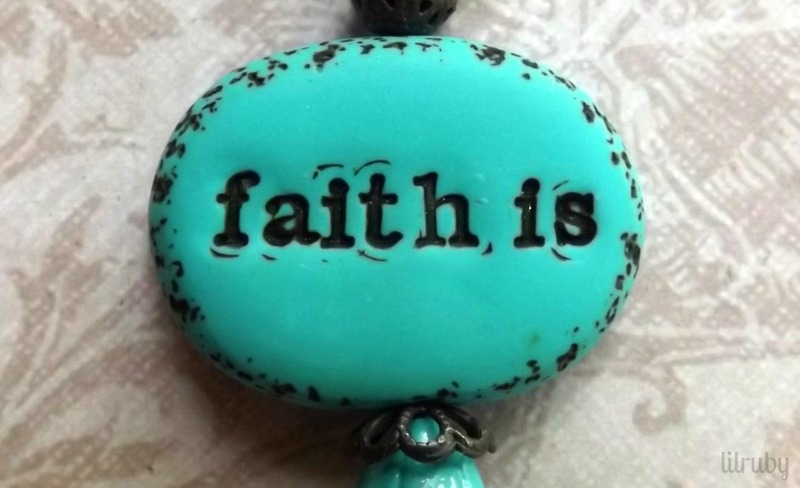 Faith is all that matters! Without it we would get no where! Great thoughts and great piece! 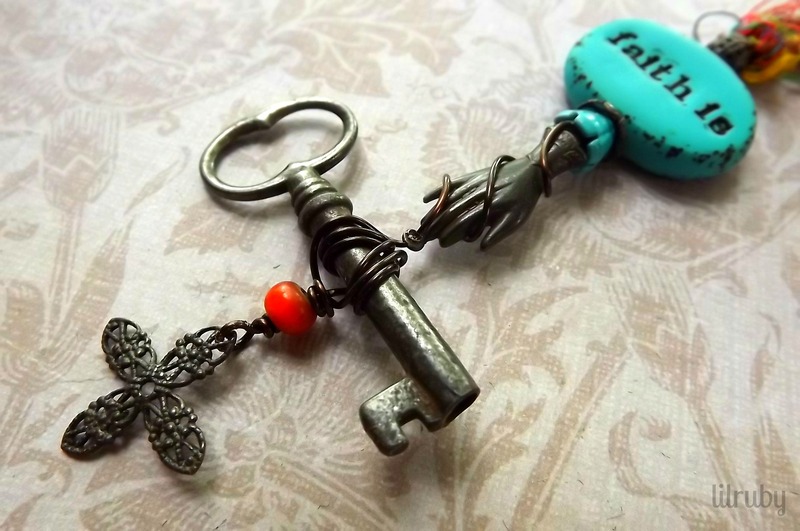 I love the meaning with the key. What a wonderful sentiment.